Niagara Falls is first and foremost famous for, well, the Niagara Falls. Its sheer beauty attracts people in droves, and the Falls themselves have been a tourist destination for well over 100 years. Before all that though, before the wine craze, the casinos, wax museums, cotton candy, and even before Niagara was considered the Honeymoon Capitol, there was agriculture. Still one of the most productive and beautiful farming regions in Canada, the Niagara Region produces fresh fruit and vegetables such as peaches, nectarines, plums, strawberries, cherries, cucumbers, and tomatoes. Spend a day driving through the gorgeous country side, stopping at the roadside vendors or at one of the local markets. With so much fruit production, Niagara is also a great place to pick up a variety of honey from the various blossoms in the area. Oh, and did I mention that there are 100-plus wineries across the region? August and into September is the peak season for products like apples, blueberries, grapes, muskmelon, nectarines, peaches, pears, and plums. Nuts, blackberries, and strawberries are also still available. Niagara’s vegetable harvest is just as impressive, with cauliflower, garlic, leeks, parsnips, potatoes, squash, zucchini, cucumbers, and tomatoes widely available into the fall. In fact, the best of Niagara’s produce is displayed every September at the Niagara Grape and Wine Festival. Patrons enjoy numerous events where top chefs showcase their cuisine prepared from locally grown foods, and of course a few glasses of Niagara wines as well! When you buy local produce, you’re getting the freshest fruit and vegetables you can find. They are usually picked at the peak of ripeness and in some cases are available to buy immediately. 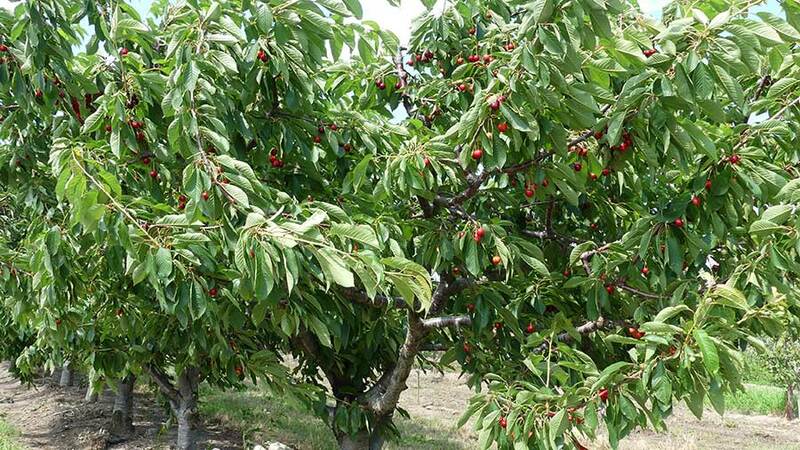 You can even join in the fun at a local “pick-you-own”orchard or fruit patch. Check out niagarafamilies.com for more details and for other family-friendly activities in the region. Beyond the benefits to your health, you are also directly supporting the farmers who grow your food, supporting and sustaining the local community and food supply. Many grocery stores are now labelling local produce as well, so even if you don’t have time to drive farm to farm regularly, you can still eat fresh and show your support. It’s still great to get out a few times a year to see the farms and take in the scenery. The fresh air, the beautiful scenery, and a chat with the growers is a great way to start your day, driving through some of the most beautiful countryside Canada has to offer–and all a quick car ride away from the mighty Niagara Falls. The city of Niagara Falls holds a local farmers market Saturday from 6:00 AM until noon, year-round, at 5943 Sylvia Place. Close to the tourist area as well as accessible by public transit, the market is located directly behind the Niagara Falls Historical Museum on Lundy’s Lane, another great family-friendly way to discover local heritage and history. NiagaraGreenbelt.com includes a long list of roadside stands set up by local growers, with directions and a description of each site. As well, there are at least 10 regular farmers markets in the region, from Grimsby in the north through St. Catharines, Niagara-on-the-Lake, and Niagara Falls, down to Fort Erie, and over to Welland and Port Colborne. So what are you waiting for? Book your stay with Holiday Inn by the Falls, where you can walk to the Falls and all this is just a day-trip away!